Familiar with the Microsoft Azure cloud platform, but looking to explore more on designing high availability applications? This course teaches you what you need to know in order to effectively design and implement a highly available solution. The Microsoft Azure platform allows you to effectively design and implement fault tolerant, high availability solutions in the cloud. In this course, Designing for High Availability on Microsoft Azure, you'll learn about the design considerations to keep in mind when building applications in the cloud. First, you'll discover how to design high availability architectures using availability sets and availability zones. 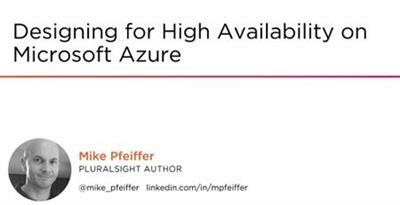 Next, you'll dive into enabling high availability through Azure Autoscale, Azure Virtual Networking, load balancing, and for custom applications working with asynchronous messaging queues. 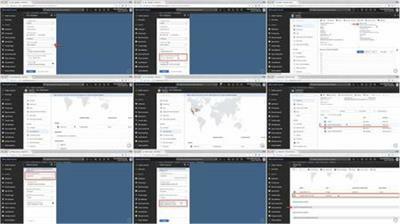 Finally, you'll explore features and services for architecting highly available applications. By the end of this course, you'll have a deeper understanding of the patterns and best practices to design highly available applications in the cloud.